DNA diagnostics and Genetic Center has now opened up its collection center in the city of Jamshedpur. There is a wide range of test that are available in our laboratory. Patients will get reliable results and that too at nominal costs. DNA Test in Jamshedpur Jharkhand can be undertaken for legal and personal purposes especially for immigration issues etc. An AABB certified laboratory, which ensures you quick results, is what patients need these days. Although DNA tests have gained immense attention in last few years but still a major percentage of population is still unaware about this test. It helps to solve criminal cases as even a single strand of hair when undergoes DNA test helps to solve the case and nab the criminal .It eases the work of police and he evidences are collected by Forensic teams for testing. In cases of mass death due to any accident or natural calamities, where bodies can’t be identified, DNA test can prove to be fruitful. DNA test when performed on bones, blood or any body part can help people to claim bodies of their near and dear ones. Genetic diseases are common these days. If an adopted child may have genetic problems that may not affect the current generation but can affect the generations to come. So DNA Testing in Jamshedpur can help to detect these diseases and work on them. This laboratory ensures faster results. This rule out the problems of long queues and delayed results. This collection center follows simple process to serve patients. DNA test has acted as a tool to unite people across this Earth who are trying to find their dear ones. Relationships are proved by DNA testing and this legal proof is accepted throughout the world and even mandatory in few countries for immigration purposes. 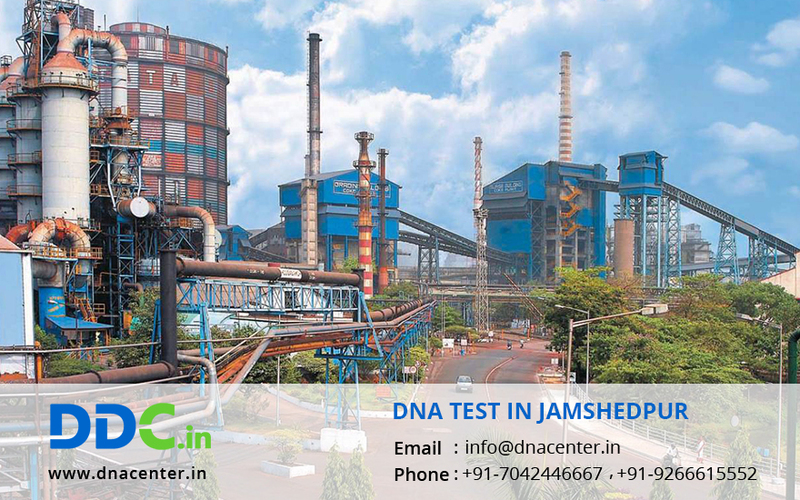 So contact DNA test in Jamshedpur to get your samples collected and avail the advantages of this test.